Long before provinces and country borders divided the North American Arctic, this barren, ever-frozen land was home to a culture who identified themselves as Inuit – meaning “the people.” Undaunted by frigid, dark winters and short summers, the Inuit have adapted so masterfully to their environment that they succeeded where most failed. Though past threats have been replaced by new struggles, their spirit of survival is as bright as the gleaming snow. Their immense territory and relatively small population – just under 60,000 – make the Inuit one of the most far-flung cultures on the planet. Dispersed from Alaska, through Canada and into Greenland, their societies are naturally rich and varied. Yet they share a common history dating back thousands of years. Centuries of life in the Arctic fine-tuned them for survival in a highly demanding climate. Their innovations are ingenious; in fact, kayaks, snow goggles, and waterproof sealskin boots are now famous internationally. Their success lay in following the migration of animals. Winters were ideal for seal-hunting on the coasts, while summers led them in-land to follow the caribou herds. Inuit lifestyle, likewise, adapted with the environment. In a land with vegetation limited entirely to lichen, moss and scrub brush, almost everything was built from either carefully-guarded driftwood or animal products. A summer tent, or tupiq, was made with caribou skins over a wooden frame. In the winter, temporary snow domes, known as igloos, could be built in as little as twenty minutes. These were used while traveling over the frozen land in search of game. For hunting sea animals, they crafted kayaks by stretching seal skin over a whalebone or driftwood frame. A larger boat called an umiak was used for traveling by water – or for hunting more formidable quarry, such as whales. 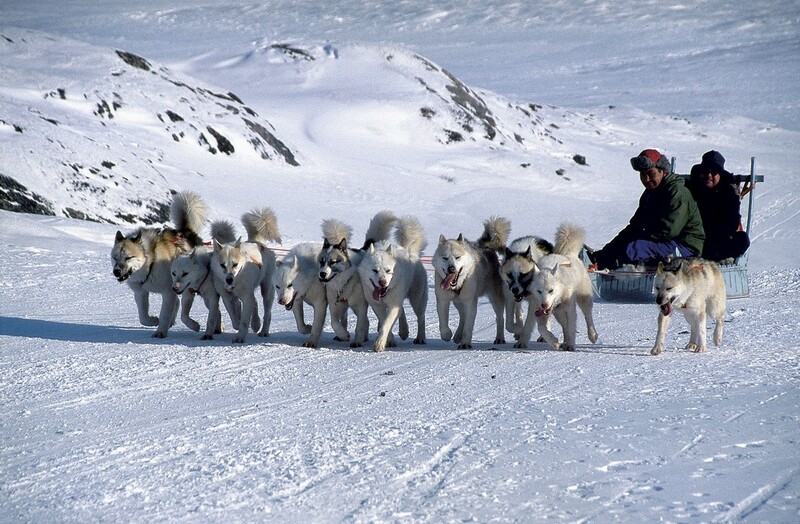 Dog sleds, with runners of ivory or wood, eased their travel over the frozen tundra. 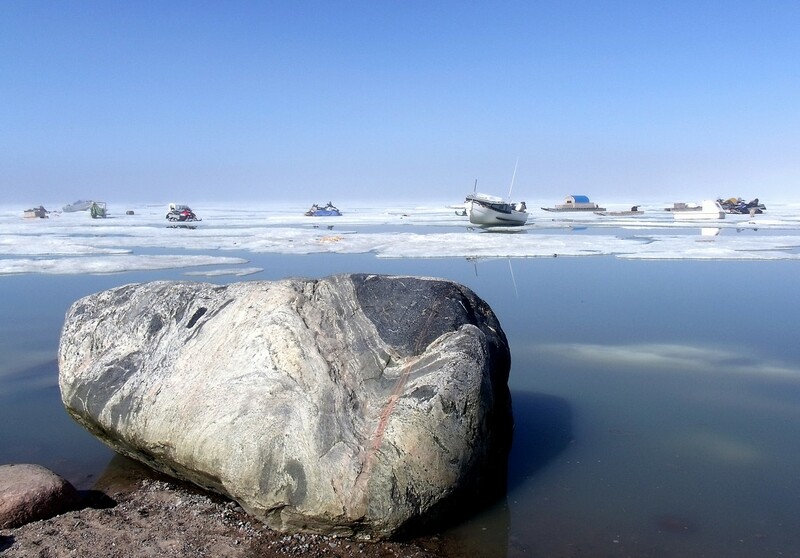 The first Europeans to explore the Arctic in the 1500s presented little threat to the Inuit. Subsequent contact, however, proved more drastic. In the 1800s, European hunters seeking whale products and furs depleted the resources crucial to the Inuit. Missionaries not only brought new diseases, but discouraged the Inuit religion and language. The Royal Canadian Mounted Police, along with their new government, located the Inuit into permanent settlements by the mid-1900s, making the once fiercely self-reliant people dependent on government programs. Despite the immense changes their culture has undergone, the Inuit cling to their identity, maintaining their native dialects and their traditions. Hunting and fishing remain strong ties to their ancient ways, and the majority of Inuit consume wild-caught meat in addition to the typical store-bought products. The Inuit have also achieved varying degrees of self-rule in several areas of Canada. Most notable is Nunavut, which became Canada's newest territory in 1999 and comprises one-fifth of Canada's land, home to 25,000 Inuit. Inuvialuit in the Northwest Territories, Nunavik in Quebec, and Nunatsiavut in Labrador represent more limited land agreements that embody Inuit interests. These agreements have brought optimism to the previously bleak economic outlook, as Inuit-owned businesses increase. The fragility of life has given the Inuit great respect for all that fight to survive – plants, animals, and humans. Ancient rituals, such as dripping melted ice into a newly-killed seal's mouth to quench its thirst, are not forgotten. Spirits of land and sea hold great meaning, and continue to unite the Inuit people. Natural balance is so ingrained in the Inuit that it has been key in artwork traced back more than 1,600 years. The oldest works feature Arctic animals, human figures and masks, made from bone, ivory or wood. These motifs continue to feature prominently among Inuit artists today. Regional styles have considerable variation, however, with some regions, such as Quebec, leaning toward naturalistic styles, while central regions often incorporate surrealism and shamanistic themes. 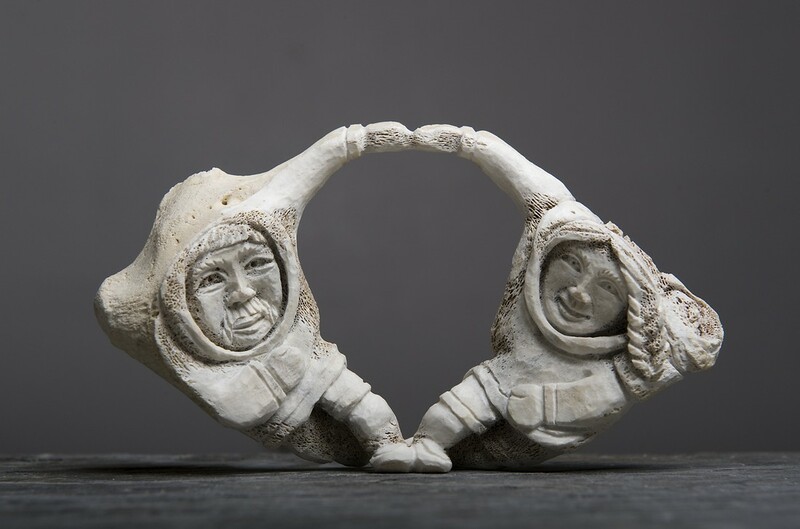 In addition to sculpture, the Inuit are determined to keep other art forms alive as well, such as drum dancing, throat singing and storytelling. Their traditions all share the ongoing story of the Inuit, “the people,” who strive to keep their balance in a changing world.